An overture played by the organist opened the evening, to be followed at 7.15 p.m. with Part I of the stage show, which included the Squadronnaires, led by Jimmy Miller. 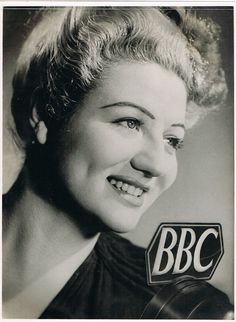 At 8 o’clock the programme was interrupted while the BBC treated their listeners to 30 minutes of what they, or somebody else, thought a Bomber Command Reunion ought to sound like. As a prelude. Air Marshal Sir A. B. Ellwood gave Radio Telegraph orders for a Lincoln Bomber to take off from Wyton for a flight over London, and the Captain of the aircraft later passed a message of greeting to the Reunion while flying overhead at 8,0ooft; While WAAF controllers at Wyton, and the Pilot, were heard clearly over the loudspeakers. Lord Tedder was greeted enthusiastically, and during a brief speech gave back as much as he received in the way of good-natured heckling. He said that Britain’s Defence needed a “strong left” and that strong left was Bomber Command. He also repeated some of his remarks made the previous evening at the Pathfinder Association Dinner regarding the need for good men to go back into the Air Force, though unavoidable disappointment might greet older applicants. I am sorry indeed not to be with you tonight, but I am glad to hear that this reunion is now likely to become an annual event and that, therefore, further opportunities may arise. Don’t think that I have forgotten you or that I will ever forget all that you have accomplished or the awful conditions under which you achieved so much. Others may forget but I will not. Let us also particularly remember on these occasions all of those Bomber Command who are not here tonight, because, in the face of the fearful odds which they faced and with such high courage, they failed to return from the other side – their only failure in Bomber Command. For long years you and you alone, carried the War to the Enemy when all otherwise seemed lost. You thrust him on the defensive; you deprived his Armies of their vital Air Support, you erased his War Industries; you rubbed out his Fleets; you annihilated Merchant Marine and you reduced, near to Ribaldry, the much vaunted and potentially terrible threat of his Secret Weapons. You enormously lessened the tasks of our Armies, you directly saved lives of at least a Million Soldiers at the cost, far too often, of your own. you finally rendered the enemy incapable of all movement, except retreat or rout on every Front. After saying they had shortened the War by at least a year. – as you know some of the long-haired Gentry placed the destruction of bricks and morter – and German bricks and mortar at that – at a higher premium than the million or more lives of Allied Soldiers and of occupants of Concentration Camps – which lives you saved by shortening the War and smoothing the paths of the armies. I myself – and I am sure that all of you – would willingly have seen every brick in Germany ground to rubble as a fair exchange for the life of one Allied Soldier, or one occupant of Belsen, or one Slave Labourer, or one Underground Resister in Occupied Territory. Let the long haired Gentry put that in their pipes and smoke it………. Enjoy yourselves this evening with glad hearts, a clear conscience and the knowledge of Duty indeed well done. Good night to you all, happy landings and until I see you again – Goodbye. Richard Attenborough’s debut at the Albert Hall came on 19 September 1945 in Per Ardua Ad Astra – A Pageant of the Royal Air Force, a musical and dramatic spectacular which ran on consecutive nights. The show featured RAF bands and orchestras, alongside music hall performers, actors and broadcasters, with the actor billed as Sgt Richard Attenborough in the programme. He was back at the Hall for 2 shows in September 1947, shortly before the release of Brighton Rock, which featured his star-making turn as Graham Greene’s sadistic gangster, Pinkie. The Royal Air Force Association – Festival of Reunion, which raised money for RAF charities, also featured his frequent co-star John Mills, while the All-Star Variety Concert included Attenborough’s wife, Sheila Sim, amongst the performers. Throughout the ’40s and ’50s he appeared in Charity Shows: these were often related to the RAF, though he also took part in a 1954 event for International Flood Relief, narrating a piece by the 751st Band of The United States Air Force. Other performers included comedian Frankie Howerd, actress Hermione Gingold and presenter Bernard Braden.